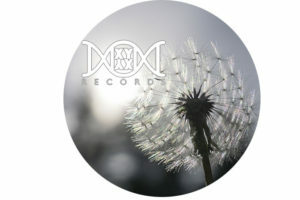 WHO: Bandmates James Pertusi and Lenny Zenith, formerly of Jenifer Convertible, and currently of Lenny Zenith’s band, are proud to announce the launch of XYYX RECORDS (XgenreXgender). After trying to find appropriate outlets for Lenny Zenith’s first solo record, Lenny approached longtime friend and collaborator James Pertusi with the idea of working together on a label dedicated to highlighting music especially, but not exclusively, by transgender, gender variant, non-binary artists, and in the LGBTQIA community in general, and their allies. The first release is Lenny Zenith’s record “What If The Sun” (6/22/2018). The first single, “Sunday Dress”, was recently premiered in Out.com magazine who called Lenny “one of the genre’s first true transgender rock stars”. The album will be featured in major media outlets during Pride month, in June. XYYX Records are already negotiating with another international transgender artist for a late-summer/early-fall release, and are committed to being artist-centric, giving artists as much creative control over their releases as they desire, and being studiously transparent in the process of promotion and royalty distribution.